We are back for Week 2 of the Special Education Summer Blog Hop! 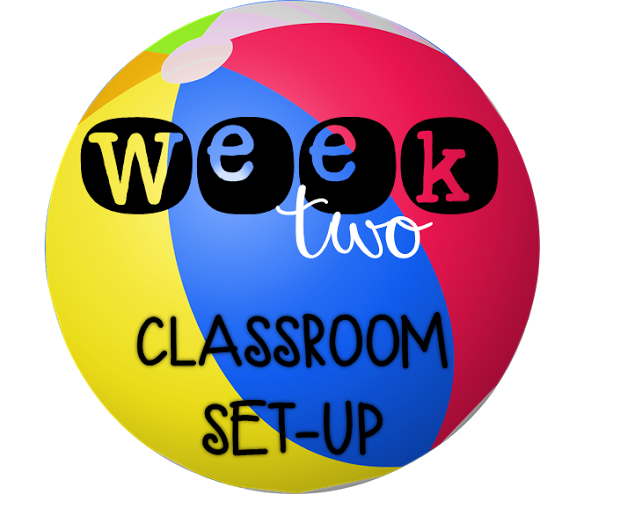 I hope you learned tons of tips & tricks last week about scheduling and are BACK to get tons of NEW ideas about setting up your classroom! 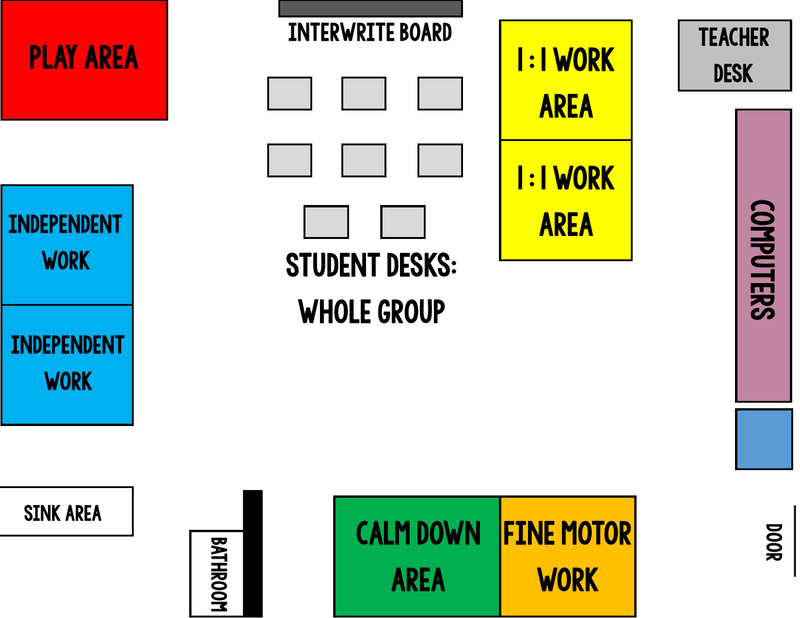 I'm going into my 6th year of teaching now and this will be the FIRST year I haven't totally changed my classroom set-up!! My first 2 years of teaching, I changed it during the school year. Sometimes, it can take a little while to get right (especially if you're in a small space!!). 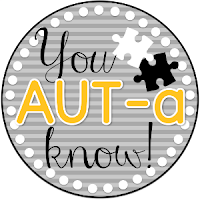 I'm so glad that I finally figured out what works best for ME & my kiddos. 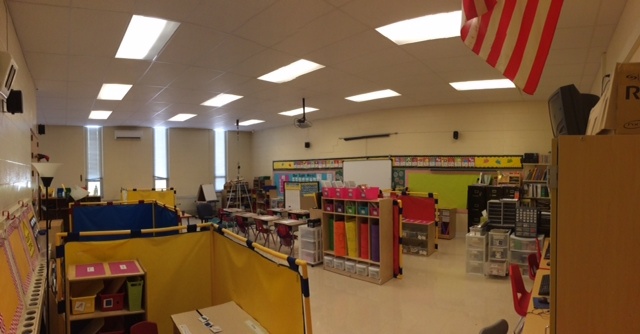 Obviously, your classroom set-up might need to look a lot different than mine! 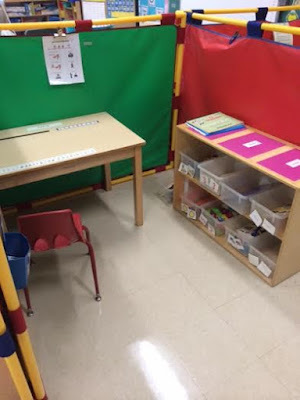 Maybe you have a smaller space, are in a resource room, do more whole group/small group/centers. Personally, I haven't been able to do a TON of that in my current district. The ages and abilities are a VERY wide range and I have to have space for all sorts of areas! When you walk in my door, this is pretty much what you see! 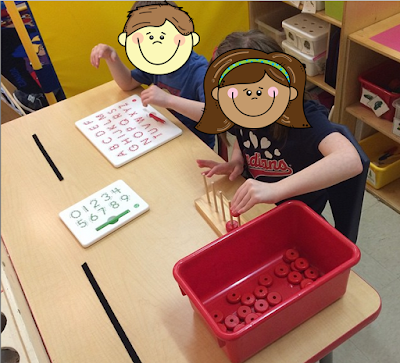 When you walk in the door, you run right into the fine motor work area. It will still be here next school year, but I hope to amp it up A LOT and have some great work tasks in there! 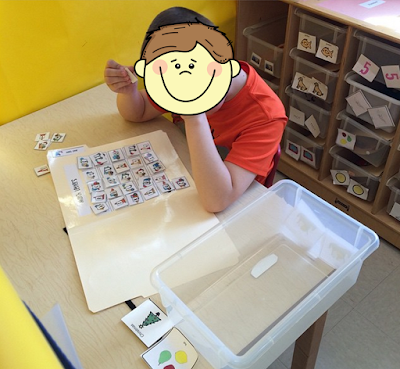 When a student goes to the fine motor area to do their work, they're given 3-4 picture icons on the Velcro strips to match to the corresponding work bin. Much like the TEACCH work bin system, but I don't have them get the bins from the left and leave them on the right. To the right of you when you walk in the door are our computers. We have 3 computers, 2 of which have TOUCH SCREENS! Woooo! 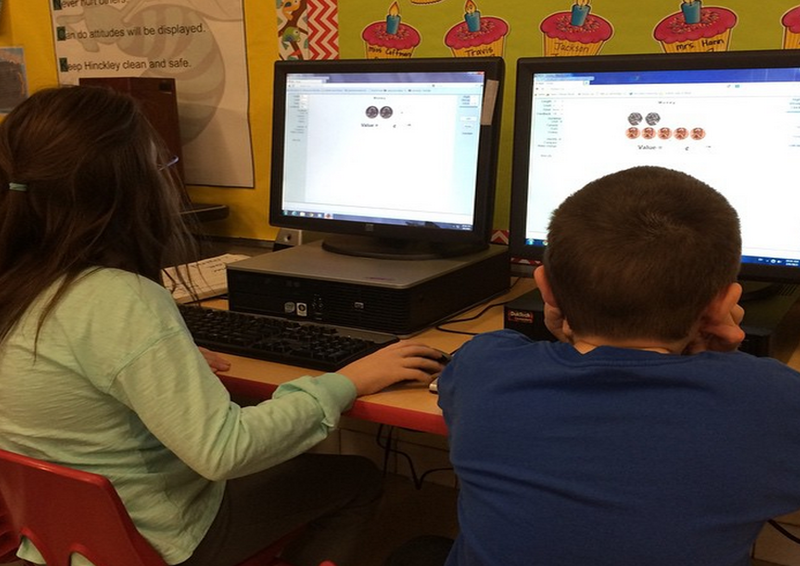 SO nice for my kiddos that aren't using a mouse independently! 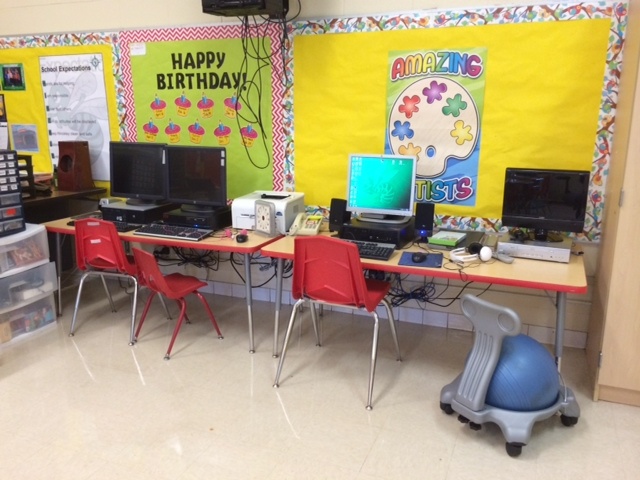 The computers are used for math work, Spelling City, Zac Browser, typing practice, or just reward time! Next up! Our whole group area!!!! WOO! We are blessed to have an Interwrite Board which we use just about EVERY whole group time AND every morning group! This is where we do the calendar, weather, and educational songs in the morning. 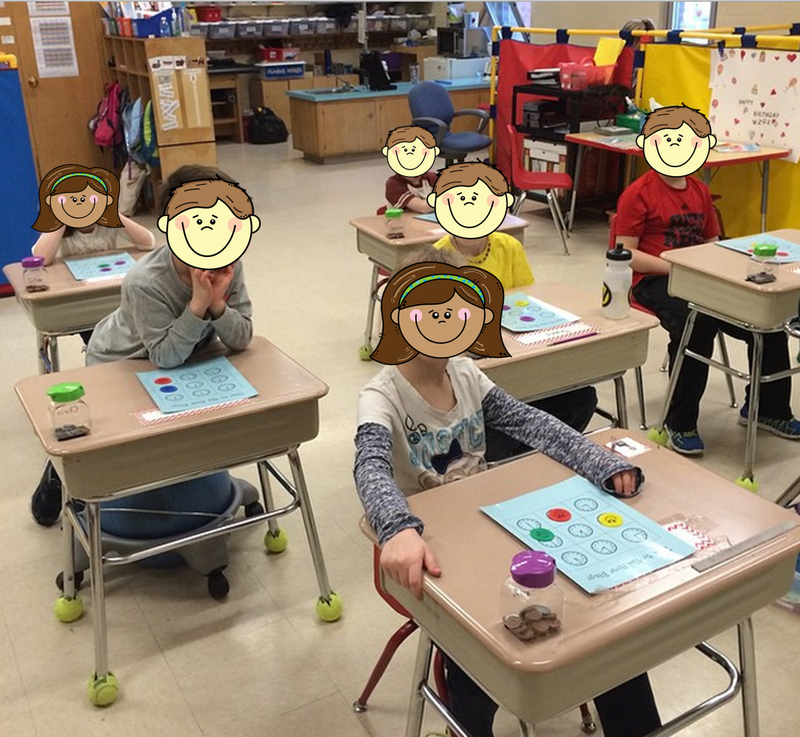 Then, during our whole group time, we work on standards based materials through Unique Learning or that I have prepared for us! 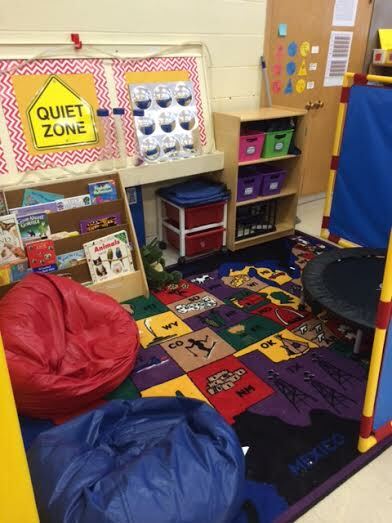 Next up, our book/calm down area. I don't really have a name for it, it's just a great place for my kiddos to go look at books & relax OR get their wiggles out on the little trampoline! My kiddos love this spot. When they choose what they're "working for", it's often to come over here and chill out in a bean bag with a book! 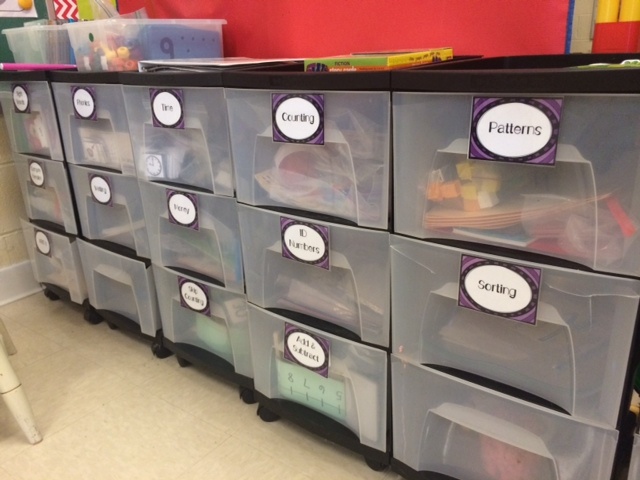 Next up are our independent work areas! 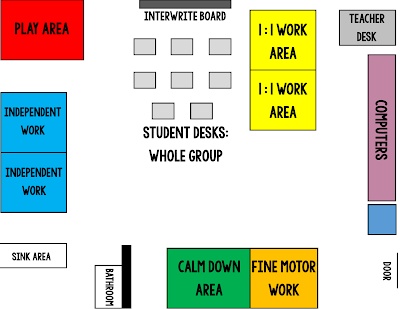 This is where my students come to work on tasks that are already mastered. Just like in the fine motor area, they are given picture icons and have to match it to the corresponding bin & then do the task. When the task is done, they place it on the "finished" square and move on to the next task. When they're done with all of their picture icons, they're done in independent work! There are two independent work areas so that I can have two students going at once! Love these spots! 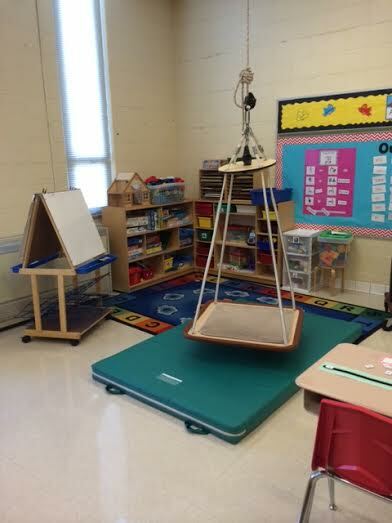 Lastly, we have our play area. 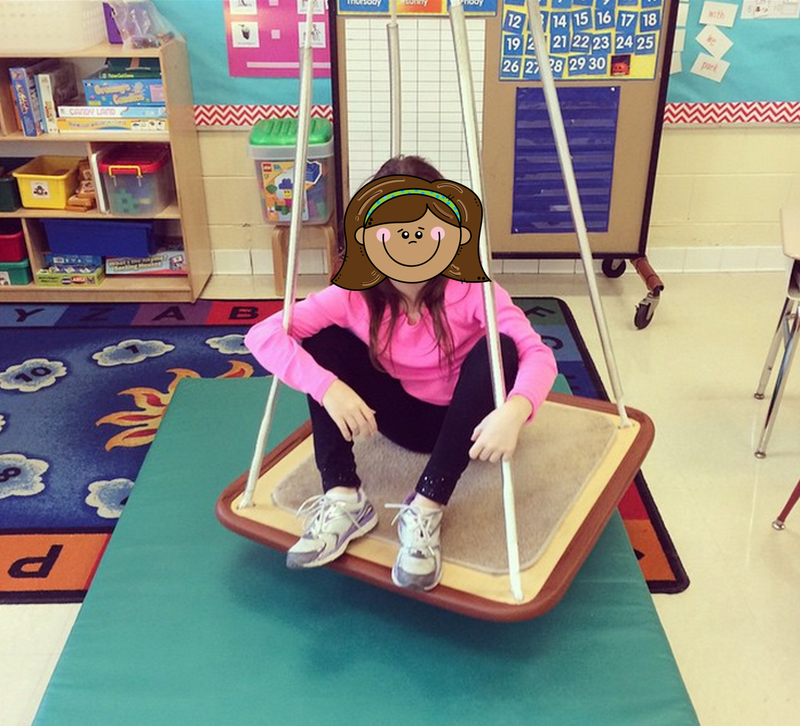 There is also a swing over here that is ONLY hung when a student works for it & earns it. I would love to keep it hung all the time, but honestly there are just some munchkins that can't handle that temptation. ;-) Can't say I blame them! So there is my room! I hope you enjoyed a glance into it & it sparked a new idea or two about your own classroom next year! Love it! 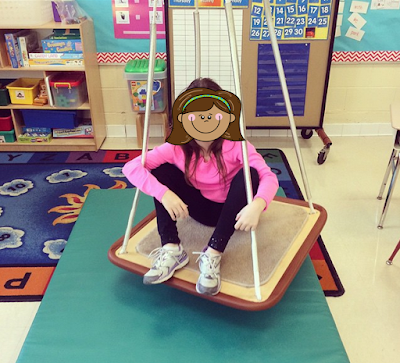 I would give anything for a swing like that in my room! I like the way your areas are all clearly defined! Such a great layout! Love that swing! 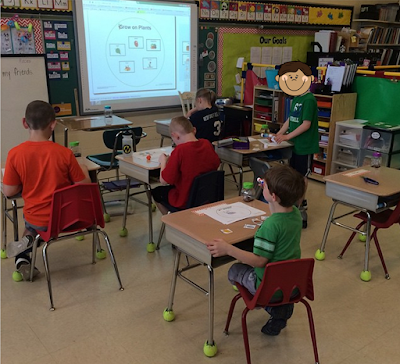 I'm just the opposite on desks! Desks were a nightmare for me and I love my tables...mine are rectangular though. That's so great that you have the desks for the whole group time in front of the interactive board! So nice and age-appropriate! Thanks for sharing your room! It looks fabulous! Where did you get those dividers?? I love everything about this! Where did you purchase your dividers--what brand are they? Everything I find are super tall but I like the shorter ones you have! Special Education Blog Hop: First Week of School!